Missed our Nuclear Threat Program Yesterday? Read About it Here! Yesterday the World Affairs Council of CT had the pleasure of welcoming Connecticut native Joe Cirincione, current President of the Ploughshares Fund, a global security foundation striving for a world without nuclear weapons. Cirincione gave a fascinating talk on the current global nuclear threat in front of an attentive crowd at the Mark Twain Museum in Hartford. Cirincione discussed the role that the United States, North Korea, Iran, and Pakistan play in the nuclear weapons arena and explained the impact these nations’ actions have on current and future global security. The speaker began the program by stating that the United States’ security is greatly threatened by the existence of nuclear weapons and the possibility that these weapons will fall into the hands of certain nations or terrorist groups. After explaining that the United States possesses the vast majority of existing nuclear weapons in the world, Cirincione asserted that we must take steps to reduce this number of weapons. The United States went through a period of nuclear proliferation during the Cold War, but the current global landscape does not offer the same kinds of threats and our possession of so many weapons actually threatens our security. Cirincione talked about the nuclear threat by addressing dangers posed by North Korea, Iran, and Pakistan. It was interesting to hear the speaker confirm that we need to keep a close eye on North Korea and Iran because they do have the long-term capabilities to develop nuclear weapons and thus could act if threatened. However, taking everything into account, Cirincione noted that Pakistan represents the biggest danger to global security. Cirincione supported his assertion by acknowledging the sizeable number of nuclear weapons already within the country. In addition, an unstable government, collapsing economy, and the presence of Al Qaeda add to the threat posed by this nation and make it the United States’ most urgent problem. After addressing the threats posed by each country, Cirincione took some time to talk about President Obama’s stance on nuclear weapons and the success he has had in furthering his agenda. Cirincione reminded the audience that in 2009, shortly after his inauguration, President Obama gave a speech in Prague addressing the need to reduce and eventually eliminate nuclear weapons. After focusing on different issues in the second half of his first term, with the start of his second term, Cirincione believes President Obama will return to addressing the nuclear weapons problem with renewed vigor. President Obama has formed a national security team that possesses the same nuclear vision as the President himself, and is therefore poised to tackle this tough issue. 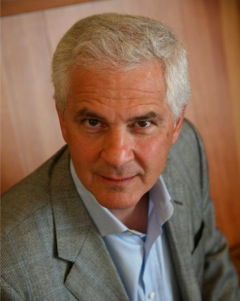 Cirincione believes that the President will address the nuclear weapons issue in the near future, possibly during his visit to Berlin, Germany on June 19th. This date is as good as any because it is 50 years after President Kennedy’s historic speech, on June 10th, 1963 at American University, announcing the development of the Nuclear Test-Ban Treaty. We would like to sincerely thank Joe Cirincione for visiting the World Affairs Council of CT and offering his expertise on the global nuclear threat. Only time will tell if and when President Obama will address this pressing issue but after the insightful talk, it is safe to say that we will certainly be following this issue more closely. Visit the link below to read Cirincione’s latest blog post, “JFK’s Historic Plea for Peace and Nuclear Disarmament.” Included is a video of JFK’s June 10th, 1963 speech.